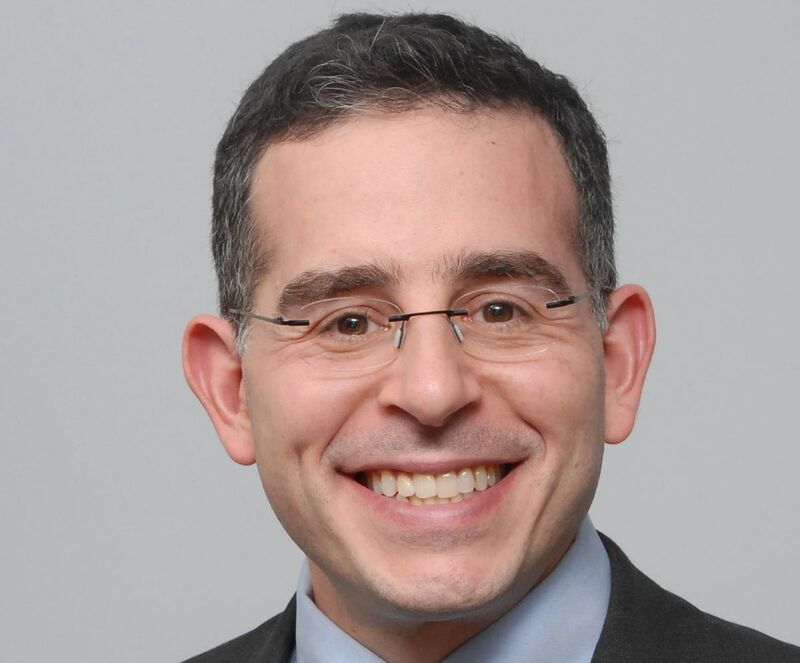 Dr. Andrew Kolodny, the chief medical officer for the Phoenix House addiction treatment centers, answered my questions about pain medicine in my last post. The second part of our interview is below. Q: I have heard claims that only a small percentage of people who take opioids become addicted. Yet journalists tend to write about painkiller addiction as an industry-created epidemic. Where do you think the truth lies? A: Opioids, which include heroin, oxycodone and other drugs derived from opium, are highly addictive. This doesn’t mean that a medical or non-medical user will become addicted with a single exposure, but with repeated exposure the risk of becoming addicted is likely to increase. The myth that addiction rarely occurs in pain patients treated with long-term opioids was promoted by opioid manufacturers, especially Purdue Pharma, the maker of OxyContin. Three top executives at Purdue were found guilty of criminal charges for doing this. Prominent pain specialists who were working as paid spokespersons for opioid manufacturers also made these claims. As discussed in this video, some of these pain specialists now regret their actions. Opioid manufacturers promoted the myth that addiction rarely occurs in patients on long-term opioids because they wanted doctors to feel comfortable prescribing opioids for common chronic conditions like low back pain. This strategy worked very well for the drug companies, but as prescriptions began to soar, so did rates of addiction and overdose deaths. Over the past decade, more than 125,000 lives have been lost from opioid-related overdoses. That’s more than the combined number of Americans killed in Vietnam, Afghanistan and Iraq. The actions of Purdue and other opioid manufacturers went far beyond minimizing opioid risks and exaggerating benefits in physician education programs. They also worked with the Joint Commission which accredits hospitals, professional societies and state medical boards via the Federation of State Medical Boards, to promote a false message that aggressive opioid prescribing is the compassionate way to treat pain. Many of these efforts are still in place. I believe that articles exposing these activities written by professional investigative journalists like Charles Ornstein, John Fauber, and Peter Whoriskey are offering the public and policy makers an important lesson. They’re describing what may be the best example in history of what can go wrong when pharmaceutical companies, in pursuit of profits, are permitted to influence medical education and practice. Advocates for aggressive use of opioids, drug companies and physician spokespersons have stopped claiming that opioid addiction is rare in pain patients. But some continue to claim that that opioid addiction is rare in middle-aged patients who lack addiction risk factors. This is totally false. Those who make this claim will cite articles that combine data from short-term, industry-sponsored clinical trials as proof. But short-term trials, designed to test the efficacy of opioids for pain, cannot answer questions about the risk of addiction with long-term use. Unfortunately, some health reporters have repeated these false statements. While it’s true that teenagers and young adults may be more susceptible to addiction, it is certainly not true that growing older makes us immune to this disease. A couple of months ago the CDC reported that opioid overdoses in middle-aged women had increased 400% since 1999. Many of these women may have been addicted to opioids. In the midst of an epidemic of opioid addiction, I think it’s reckless to claim that opioid addiction rarely develops in middle-aged patients. Nobody actually knows the exact rate of new onset addiction when opioids are prescribed long-term for chronic pain, so most experts provide a large range when estimating the risk. For example, the National Institute on Drug Abuse estimates the risk of addiction with long-term opioid treatment as ranging from 3% to 40%. A recent study that utilized DSM-V criteria to examine the prevalence of opioid addiction in primary care patients on long-term opioids found that 35% met criteria for opioid addiction. Q: Don’t opioids have a useful role in treating addiction? I interviewed journalist Maia Szalavitz, who has written about her prior addiction to heroin, and one of her main points is that, as she put it, “the treatment with the best evidence for efficacy for those who are addicted would actually be a prescription for an opioid, either buprenorphine or methadone, and often for long term maintenance depending on severity.” Are doctors being prevented from prescribing the best treatments because of anti-drug hysteria? A: Yes, methadone and buprenorphine can be used to effectively treat opioid addiction. They’re not the answer for everyone with opioid addiction but for many patients they are literally a lifesaver. There are many barriers to these important medication-assisted treatments including the commonly held misbelief that methadone and buprenorphine aren’t really treatment, that they just feed someone’s addiction. This unfortunate view may be reinforced by experiences with people for whom methadone or buprenorphine haven’t worked well. Some buprenorphine prescribers and methadone clinics practice in an irresponsible fashion, which also contributes to the stigma these treatments carry. I’m not sure what you mean by “anti-drug hysteria.” While it’s true that the media often sensationalizes stories about drugs, I don’t think that’s the case with opioid analgesics. It’s the CDC that is referring to the opioid problem as one of the worst drug epidemics in United States history. Opioid overdoses have increased to a point where we now have more people dying from drug overdoses than car crashes. This is a public health crisis that, in my opinion, warrants much more attention than it’s getting. Q: Something that has always lingered in the back of my head when the topic of drugs comes up -- the concept of the Gateway Drug. When I was growing up, marijuana was always described as a gateway drug. Prince in his song “Sign O’ The Times” has a line about his cousin “trying reefer for the very first time” and then moving on to heroin a few months later. Does the increasing legalization of marijuana for medical purposes or – as in places like Seattle – any purposes mean we’re going to see an increase in addiction to other drugs? Or is the Gateway Drug concept outmoded? A: I don’t think we know whether or not marijuana is a “gateway” to abuse of other drugs. But I do think there are reasons to be concerned about legalizing marijuana for recreational use. Legalizing marijuana could lead to greater numbers of people using the drug. Some marijuana smokers, especially adolescent users, may become addicted to it -- meaning that they will use heavily to the point of suffering negative consequences, like flunking out of school, losing a job, or having trouble in relationships. As use of marijuana increases, I think we’re likely to see greater numbers of people developing problems with the drug. Q: Last month, you were appointed the chief medical officer for Phoenix House, one of the largest non-profit chains of drug treatment centers in the country. What made you want to leave Maimonides Medical Center in Brooklyn to go work for Phoenix House? A: I don’t believe that we’re going to be able to end the opioid epidemic by curtailing inappropriate prescribing alone. This strategy will help prevent new people from becoming addicted, but for the millions of Americans who are already addicted, we need to ensure that they have access to effective treatment. If we simply curtail overprescribing without ensuring greater access to treatment, we’re going to see more opioid addicted individuals turning to heroin. This is already happening in many parts of the country. As a national addiction treatment provider, Phoenix House is perfectly positioned to expand access to treatment. I left Maimonides Medical Center so that I could help them do this. Q: What does being the chief medical officer for Phoenix House entail on a day to day basis and how are you involved longer term in charting the organization’s course? A: It’s hard for me to describe my day-to-day routine since I just started working for Phoenix House a few weeks ago. As the chief medical officer, it’s my responsibility to help chart the organization’s clinical direction. In particular, I plan to help expand the organization’s continuum of care by developing new program models that offer low threshold access to affordable, evidence-based treatment. Q: You went from being the head of psychiatry at a hospital where you probably could see all the patients in the building in one day -- if you walked fast -- to being the lead medical expert for a nonprofit chain of treatment centers that spans the country. How has that changed your approach to patient management? A: Yes, the jobs are very different. But the strategy we plan to employ, a public health approach, will be similar. At Maimonides, I was able to walk the floors, but I also used our medical center’s electronic record to better understand the needs of the patients we were serving and to monitor the quality of care. We also used epidemiological data, New York City health department data and census data to identify populations in our community that needed better access to care and to identify conditions that were going untreated. At Phoenix House, with a recently installed nationwide electronic record, we’ll be using a similar approach for continuous quality improvement and for expanding access to evidence-based addiction treatment. As a pain physician in the trenches for 18yrs I can't tell you how heartening it is to read Dr. Kolodny's responses. I can certainly attest that there is an epidemic of opioid over-prescribing occurring in the US and it hasn't been seriously discussed for 20yrs. The current standard of care in many American communities – mine included - is high-dose opioids for common complaints such as low back pain, fibromyalgia,head-ache, chronic abdominal pain, chronic pelvic pain, phantom limb pain, neuropathy, etc. Unfortunately, there is very little medical evidence to support these practices. But on the flip side addiction, substance abuse, disability, and opioid overdoses have all reached epidemic levels. Moreover, liberal prescribing is now taken as the standard by patients, opioids are their expectation when seen in a pain clinic and they don't hesitate to complain to administration and post to the internet rating sites when that expectation isn't met. Dr. Kalodny & PROP have a big job ahead. Unfortunately, most of pain medicine’s thought leaders – Russel Portenoy, Scott Fishman, Bill McCarburg, Lynn Webster, Perry Fine, etc – have conflicts of interest with PHARMA so pervasive that they should recuse themselves or disclose prior to any conversation. Thus, change in prescribing for chronic non-malignant pain will by necessity come from outside the field of pain medicine. Thanks again Bill & Dr. K.
These are informed and refreshing comments from inside pain management which could help re-direct this field back to its forsaken original goal of non-opioid multidisciplinary management of chronic noncancer pain and away from opioid over-reliance with its dismal track record.